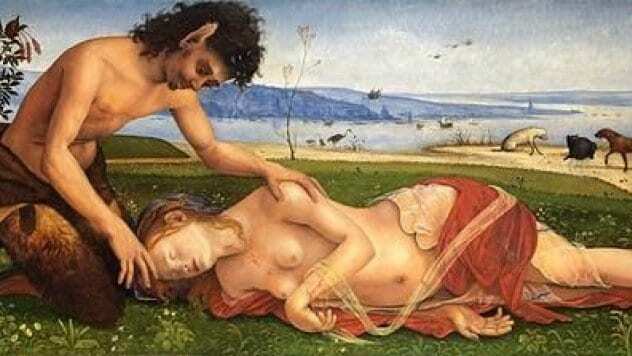 Experts have long thought that the impulse for art is what separates us from our dim-witted hominid cousins. However, recent discoveries reveal that symbolic thinking and artistic expression are not unique to Homo sapiens. These mysterious examples of early art are changing the way we look at our family tree and forcing us to redefine what makes us human. Photo credit: Wim Lustenhouwer / VU University Amsterdam. 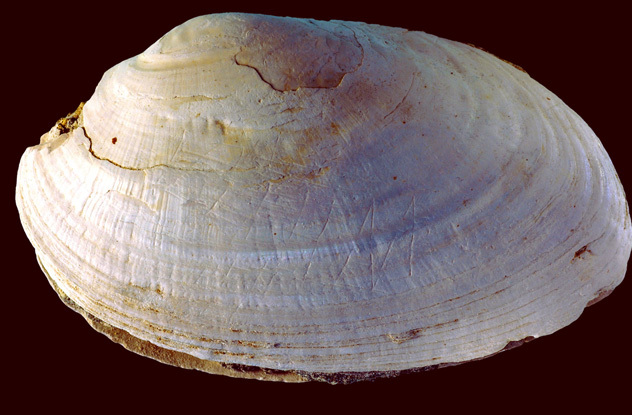 Zig-zag engravings on a shell discovered in Trinil, Eastern Java, might be the world’s oldest art. The etchings date back half a million years and are believed to have been the work of Homo erectus—the ancestor of both Neanderthals and modern humans. Discovered in 1890 by Eugene DuBois, the freshwater mussel shell was examined and stored along with skeletal remains. Over 100 years later, a biologist studying Homo erectus’s usage of marine resources uncovered its significance. Analysis revealed that the patterns were intentional and carved by a sharp object like a shark tooth. The designs were done on a fresh shell and would have stood out as white lines on a dark canvas. 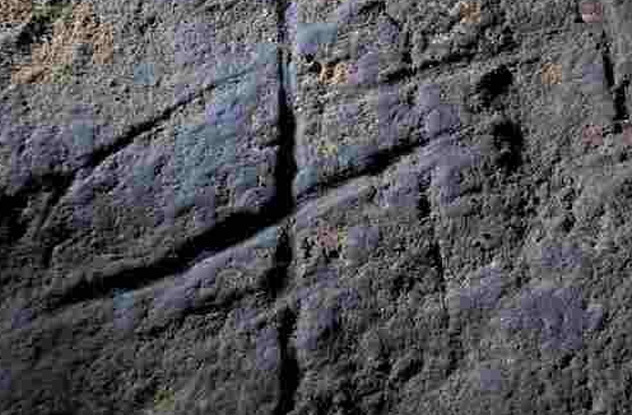 Experts have ruled out weathering or animals, leaving little doubt that Homo erectus intentionally carved these designs. 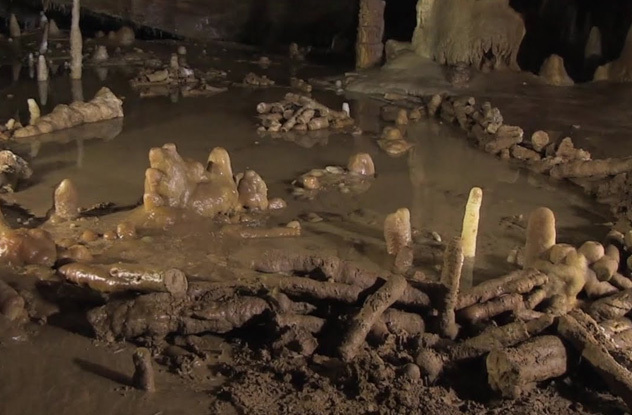 In 1990, two stone rings were discovered in the shadowy recesses of France’s Bruniquel Cave. Dating back 176,000 years ago, these are the world’s oldest well-dated structures. The rings were built 45,000 years before the arrival of modern humans to Europe—Neanderthals built the formations. The rings are made from hundreds of stalagmites, which have been broken from the ground, cut to similar length, and laid out in concentric oval patterns. Given the depth within the cave, experts suggest ritual significance. The rings reflect a mastery of the cave environment, harnessing a reliable source of light and abstract thinking ability. Eagle claws discovered in Krapina, Croatia, reveal that Neanderthals had keen style sense long before the arrival of modern humans to Europe. Experts believe these white-tailed eagle talons were worn as jewelry, either as a bracelet or a necklace. They appear polished, as if bound together with fabric, and contain wear beyond the life of an eagle. 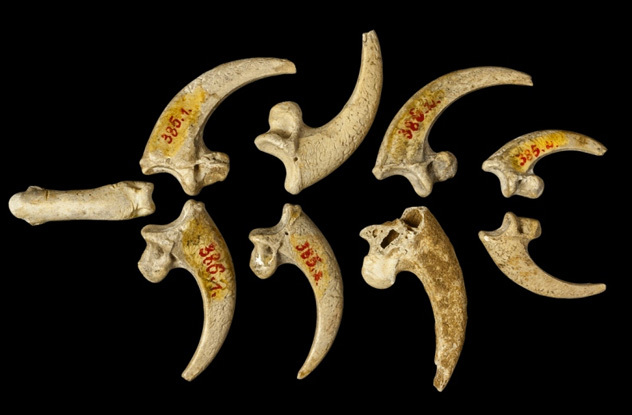 The talons were originally discovered 100 years ago with a large cache of Neanderthal bones, but no one made the connection to jewelry until recently. The age of the talons means Neanderthals were using abstract thinking to craft body adornments without any influence of modern humans. Experts suspect the talons were harvested from live birds. Catching eagles is extremely difficult, reflecting sophisticated hunting abilities of Neanderthals. In 1969, in the Early Paleolithic site of Bilzingsleben, Germany, archaeologists discovered the first evidence that art was significantly older than Homo sapiens. Engravings on an extinct forest elephant bone were dated to 400,000 years ago—thousands of centuries before the advent of modern human art. Experts believe Homo erectus carved the lines. The fragment of tibia contains two groups of incised parallel lines. They are regularly spaced and appear to have been made with one tool at the same time. 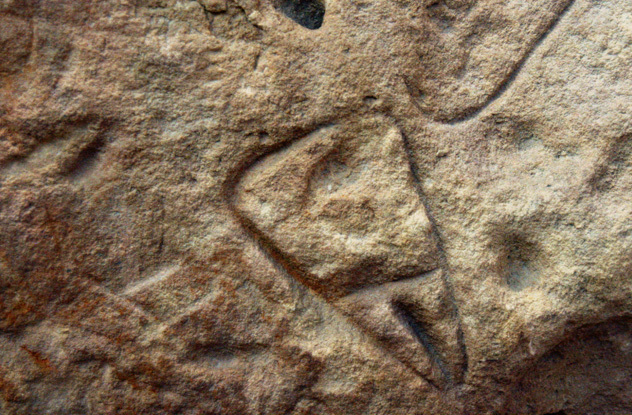 Similar markings appear on a forest elephant vertebra at Stranska Skala, a site in the Czech Republic. No one is sure of the lines’ significance. Some suggest they are proto-writing. Others believe them to be maps. Some propose that they are calendar marks. The tibia has even been used in studies exploring mathematical and astronomic awareness in pre-humans. In 1933, in La Ferrassie Neanderthal cave complex in southwest France, experts unearthed the oldest rock art in Europe. At Burial Site #6, they discovered a limestone slab covering the grave of a child. The tomb reflects not only cultural complexity but evidence of pre-human art. The underside of the burial slab was marked with cupules, a primitive form of rock art. The slab contained two large indentations and eight pairs of smaller hollows. Cupules are found throughout the world and from all three eras of the Stone Age. There is debate among academics whether the La Ferrassie burials were merely caused by “natural slumping.” If these were intentional burials, they would be the oldest yet known. In the 1980s, when anthropologists explored Maastricht Belvedere cave in the Neatherlands, they discovered a red substance in the soil. Analysis revealed it to be hematite, an iron oxide used as a pigment by ancient populations. Scientists concluded the red material entered the soil in liquid form, by spilling. This was evidence that Neanderthals were using red pigments 250,000 years ago, significantly earlier than previously thought. The source of the material was over 40 kilometers (25 mi) away from the cave and would have had to been transported by its inhabitants. 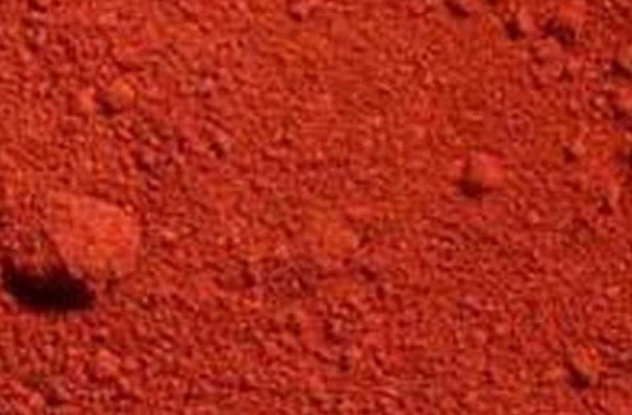 Many believe these pigments were used for wall painting and body decoration. This practice is still employed today among hunter-gatherers. However, others are skeptical, suggesting that it might have been used as a preservative, medicine, insect repellant, or hide softener. In Fumane Cave near Verona in Northern Italy, anthropologists made a discovery that changed our perception of pre-human art. Among a deposit of Neanderthal bones, they unearthed evidence that feathers had been used as decoration and ornamentation. 660 bird bones of 22 species showed evidence of scraping and cutting around the flight feathers. These feathers themselves have no culinary value, and most of the harvested species—like vultures, falcons, and eagles—are poor food sources. Utilitarian uses have been ruled out as feathered arrows had yet to be invented. The most likely scenario: The feathers were used as jewelry or decorations. We cannot know for certain whether these were everyday wear or limited to ritual usage, but there is no doubt that Neanderthals cared about their appearance. In 1999, on the banks of the River Draa near Tan-Tan, Morocco, anthropologists unearthed an object which might be the oldest known representation of the human form. Known as the Venus of Tan-Tan, this figure has been dated to the Middle Acheulin period. Given the date, this could not have been made by Homo sapiens or even Neanderthals but by Homo erectus. There is debate whether the Venus of Tan-Tan is actually a sculpture. Flecks of a paint-like substance and groves on the surface offer signs of modification. Skeptics suggest the shape is due to “fortuitous natural weathering.” The discovery of the Venus of Berekhat Ram—a similarly dated and shaped sculpture—suggests the tantalizing possibility of a culture of pre-human figurine construction. In 2012, at the back of Gorham’s Cave on the southeast face of Gibraltar, archaeologists discovered an engraving they believe to be the work of Neanderthals. The design is geometric, resembling a hash tag. It is believed to be 40,000 years old. Humans did not arrive in the cave until 10,000 years later, long after Neanderthals abandoned it. Experiments were performed to replicate the design. Experts discovered that it would take 200–300 strokes to replicate these marks in the hard dolomite. There is no doubt that these were made intentionally and the result of abstract thought. As to the symbolism of this design, no one can be sure. 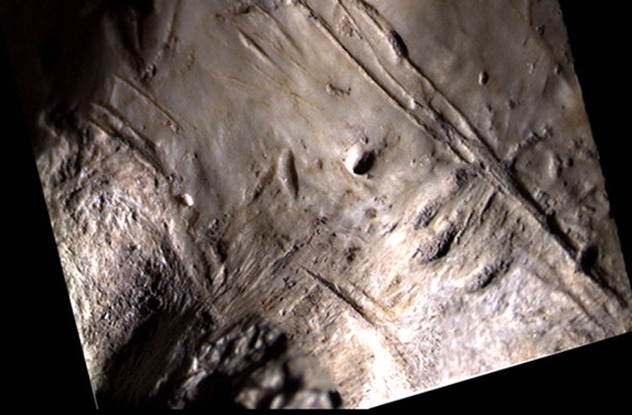 The marks appear where the cave’s orientation shifts by 90 degrees. The possibilities that it is a map or a territorial marker have been explored. Researchers in Spain unearthed a treasure trove of what appears to be Neanderthal jewelry. The finds include shells and bones with evidence of craftsmanship more than 10,000 years before modern humans made it to Europe. Many of the shells were perforated as if to be worn on a necklace. 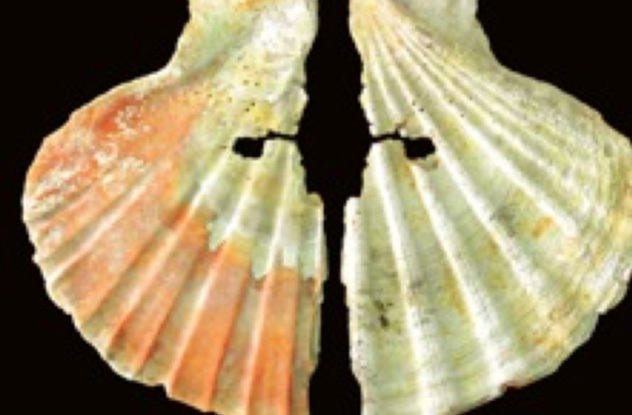 While it is possible this occurred accidentally, traces of paint on the shells suggest otherwise. Similar items appear back as far as 70,000–100,000 years ago in Africa. However, there is a conspicuous absence of decorative items found from this period in Europe. At the time, these northern lands were the home of Neanderthals, who were long deemed incapable of symbolic thought. These painted shells tell a different story. Abraham Rinquist is the executive director of the Winooski, Vermont, branch of the Helen Hartness Flanders Folklore Society. He is the co-author of Codex Exotica and Song-Catcher: The Adventures of Blackwater Jukebox.